We do not currently have a discount code for Kaos Dayclub. You can buy presale tickets to events at Kaos Dayclub here. Buying presale tickets at Kaos ensures that you’ll get in – ticket holders also get expedited entry. You can book table service or sign up for a free guest list on our free mobile app, or on our webapp. We do not currently have a discount code for Kaos Nightclub. You can buy presale tickets to events at Kaos Nightclub here. 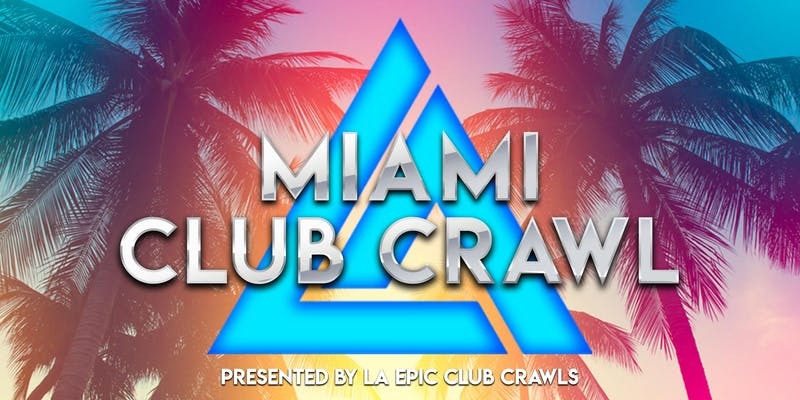 Epic Club Crawls is one of the best club crawl operators in Miami. They’ve been around for years and have excellent reviews on Tripadvisor and Facebook. Use promo code DISCOMIA to get $2 off your club crawl ticket purchase here. This discount code is only available on regular nights, not holiday weekends. Meet us at the first venue on the lineup at the listed time. We start at 9:30 pm (You can find the full lineup and starting time and location on our website.) The first location is designed for the ultimate pre-game here you will get to partake in a 1 hour open bar, play some games, and mingle with fellow partygoers. From there you will get to hop on a party bus that will take you and your crew over to one of the hottest Miami nightclubs! 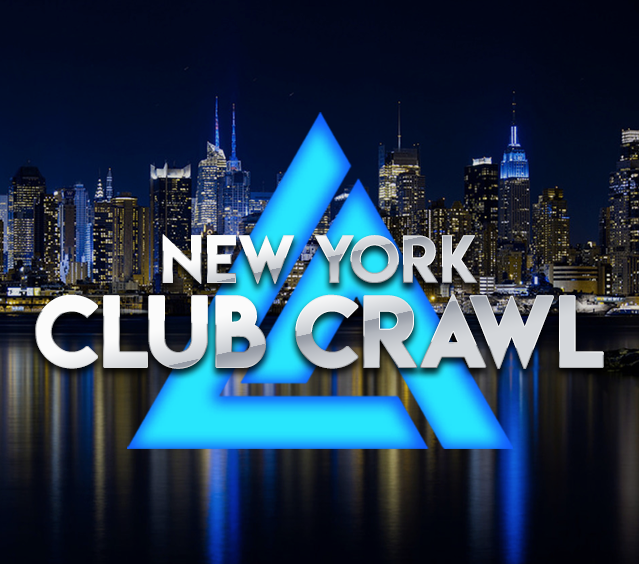 Epic Club Crawls is one of the best club crawl operators in New York. They’ve been around for years and have excellent reviews on Tripadvisor and Facebook. Use promo code DISCO to get $2 off your club crawl ticket purchase here. This discount code is only available on regular nights, not holiday weekends. Looking for something to do on New Years Eve in San Diego this year? Use promo code DISCOTECH to get $3 off your tickets to Miles Medina at House of Blues San Diego. Tickets start at $30. Discount code applied at checkout. This year’s New Year’s Eve at House of Blues San Diego unites three parties into an even bigger night than ever before. Kick off the night with San Diego’s legendary DJ Tanner. Revisit your favorite memories with throwback party Hickies & Dryhumps. And last but not least, countdown to the new year with A-Trak’s Goldie Awards champion, Miles Medina. There’s also a COMPLIMENTARY champagne toast at midnight along with a balloon drop that you won’t want to miss! Victory Nightlife has been San Diego’s premier multi-faceted events company uniting the music, dance, and lifestyle scenes for over 12 years. 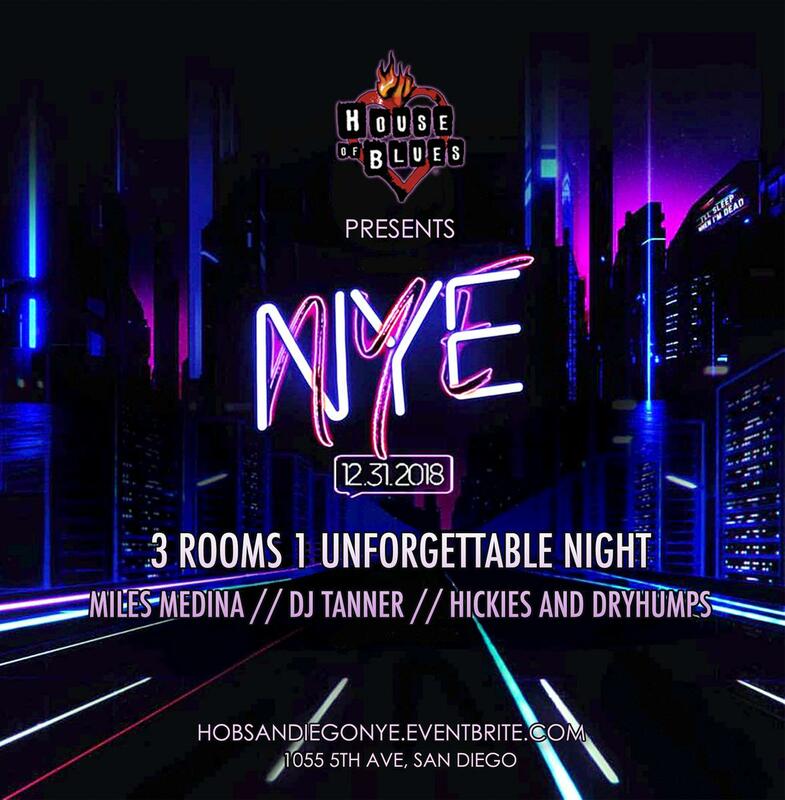 The nightlife veterans transform San Diego’s favorite concert venue into a one-of-a-kind club experience for New Year’s Eve with their renowned party at the House of Blues San Diego for the twelfth year in a row! This party features 3-different rooms with different DJ’s to bring you a New Year’s Eve experience that you will never forget! 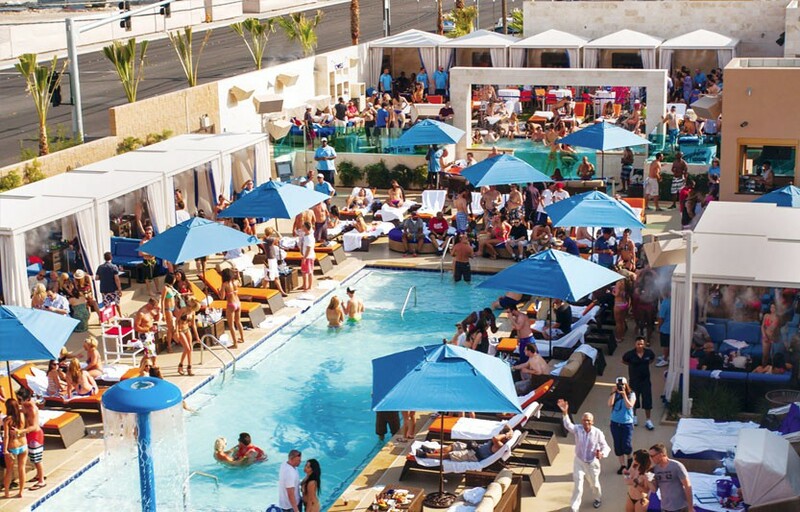 Sin City Pool Tour is one of the best pool / dayclub crawl operators in Las Vegas. Sin City Pool Crawl has been around for 7 years and have excellent reviews on Tripadvisor. Use promo code DISCO to get $10 off your club crawl ticket purchase here. This discount code is only available on standard pool crawl days. All Pools/itineraries are subject to change due to capacity, weather or a special event. Any cancellations must be made 72 hours before your scheduled club crawl and will incur a $15 cancellation fee per ticket. Sin City Club Crawl is one of the best club crawl operators in Las Vegas. They’ve been around for 7 years and have excellent reviews on Tripadvisor. Use promo code DISCO to get $10 off your club crawl ticket purchase here. This discount code is only available on standard club crawl nights. 9:30 – 9:50pm – Check in at PBR Rockbar in the Planet Hollywood hotel- 1 free well drink or beer with our bracelets at the PBR Rockbar. The last club is where we end the club crawl. Must have valid ID and be in proper dress code. Please note that this discount code is only valid for NYE weekend events. There will not be guestlist for these events – it will be bottle service and tickets only. You can book bottle service for NYE events at Drais directly on our free mobile app! Drai’s Nightclub has unparalleled views of the Las Vegas Strip and is world-renowned for discovering the best musical talent. 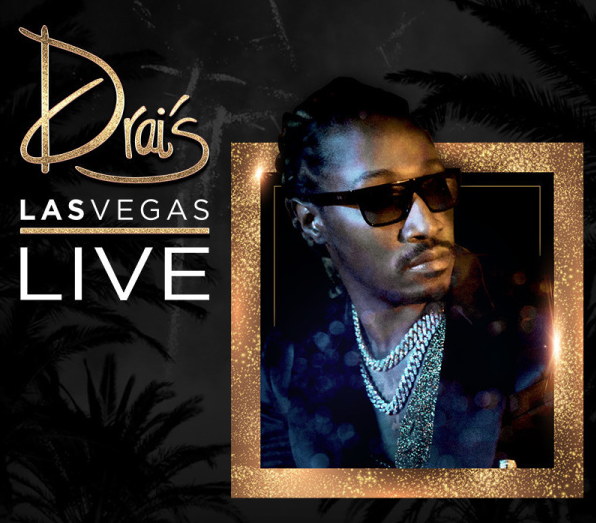 Drais offers an experience unlike any other Las Vegas nightclubs. The 70,000+ square-foot rooftop club at The Cromwell Las Vegas features 150+ VIP tables, eight pools, two VIP balconies, four bars, and over 7,000 square feet of state-of-the-art digital LED screens. The venue’s 360-degree multi-level experience is reinventing the way guests experience Las Vegas nightlife. Use promo code DISCO at TaoLasVegas.com to get $5 off each ticket for the New Years Eve event at Tao Nightclub with Gucci Mane. You can book bottle service for Gucci Mane at Tao directly on our free mobile app! Table service for this night starts 1500 for 8 guests in the Buddha Room (not the main room) – main room tables start at $1500 for 6 guests in the back. Before achieving widespread success, most rappers are forced to endure a series of hardships. But few have gone through the same kind of trials and tribulations that Gucci Mane has. Despite the pitfalls, Gucci Mane takes each moment in stride, both playfully and insightful. After building up a solid buzz in the South in the early 2000s thanks to the overwhelming success of his infectious 2003 club anthem, “Icy,” featuring fellow up-and-coming Southern rapper Young Jeezy, Gucci Mane caught an attempted murder charge during a much-publicized beef with Jeezy and had to serve a year in prison. Upon his return, he released his debut album, Trap House, his stellar sophomore project, Hard To Kill, and his 2007 major label debut, Back To The Trap House, before eventually being forced to serve another year-long prison sentence for a probation violation stemming from a 2005 incident. But Gucci Mane wouldn’t let a second major legal battle stop his movement. Instead, he jumped into the studio for days at a time before his sentence started and recorded dozens of songs that he eventually released through his So Icey Entertainment and 1017 Brick Squad Records imprints while he was incarcerated to help keep his name alive in the streets. It worked, and by the time Gucci Mane was released in March 2009, his buzz was better than ever and he immediately started recording songs for what would become his second major label album, The State Vs. Radric Davis. By late 2009, the album was finished. Featuring the smash singles, “Wasted,” and “Spotlight,” featuring Usher, The State Vs. Radric Davis was shaping up to be the biggest release of Gucci Mane’s career. While he had already enjoyed plenty of success in the South and routinely made thousands of dollars for performing at shows every night, the album was projected to move him into the upper echelon of rap. He looked like he was primed to end the year on a positive note. Unfortunately, he had one more hurdle to clear—and it was a big one. He didn’t let those moments go to waste, though. While in prison serving a one-year sentence, Gucci Mane wrote rhymes constantly, stayed in touch with his Brick Squad affiliates Waka Flocka Flame and DJ Holiday and set the stage for his return by releasing an official mixtape, The Burrrprint 2 HD, in March, which moved more than 15,000 units in its’ first week in stores. All of this prepared Gucci Mane to get back on his grind when he released from prison in May.